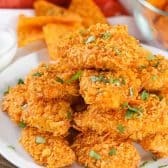 These easy Dorito Chicken Tenders are going to be the hit of your next party (and put a huge smile on your kids’ faces)! 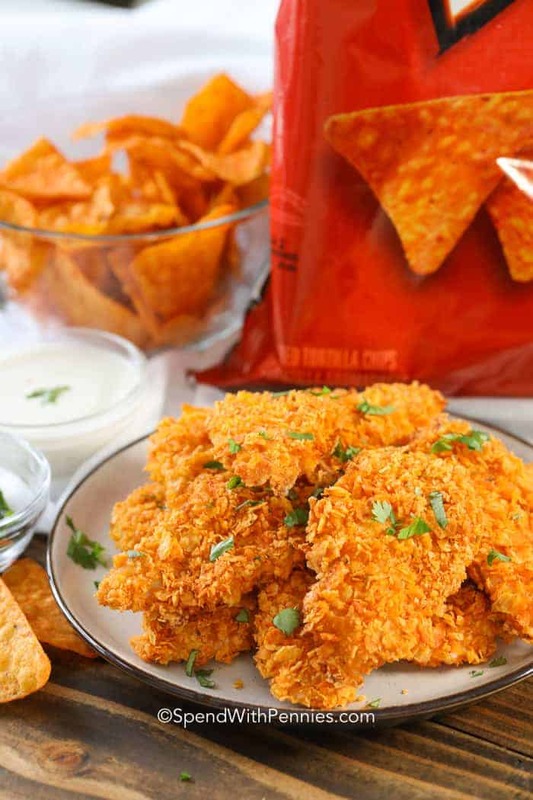 Tender juicy chicken breasts crusted in our favorite cheesy Doritos and baked to crispy perfection. If I indulge in one snack, I’m pretty much going guarantee it’s going to be Doritos! They’re one of my all time favorite treats and while the Nacho Cheese is my favorite, I’ll eat ANY flavor! 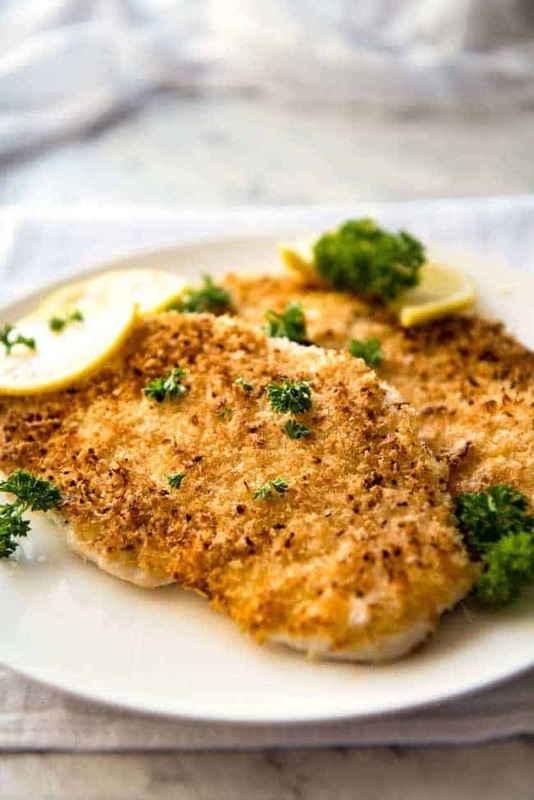 My kids love chicken and I usually make a Crispy Baked Parmesan Chicken into perfect crispy chicken strips. When I happen to run low on bread crumbs or corn flakes, I use pretty much any kind of cereal or cracker I happen to have in the pantry. Anything from Ritz crackers to tortilla chips will make an awesome crust for chicken. 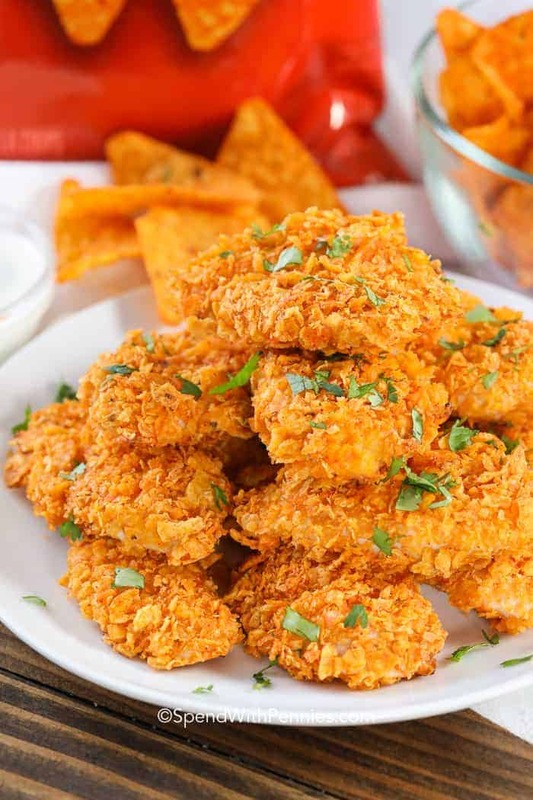 In this recipe, instead of the typical breading we have crusted these chicken tenders with crispy cheesy Doritos! 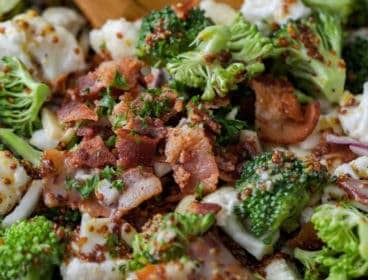 The result is a perfectly crispy crust loaded with flavor. 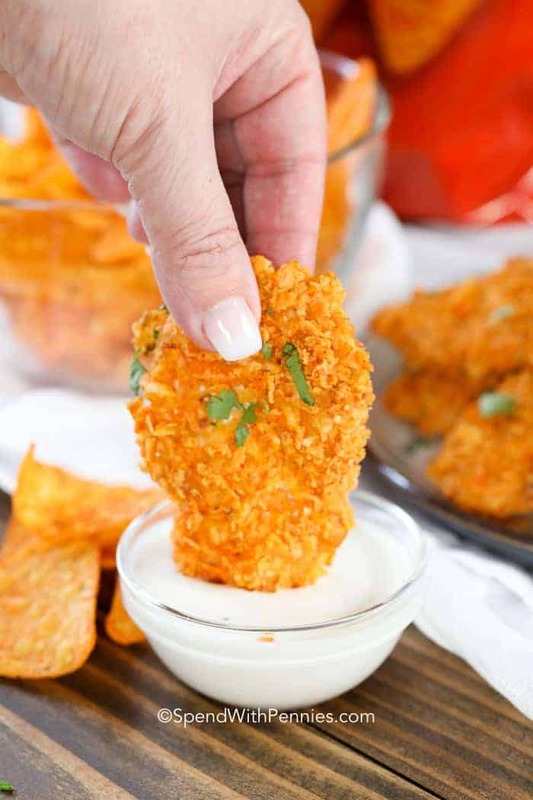 I personally prefer traditional Nacho Cheese flavored Doritos but I have made these with Cool Ranch and they were great too… any flavor of Doritos will work! When crushing your chips, you’ll want them to be be crushed quite small but not made into a powder, you still want some texture. We use chicken breasts and slice them into 3/4″ strips (you can also cube them if you’d prefer Doritos chicken nuggets), dip them into an egg wash and press them into the crushed tortilla chips. 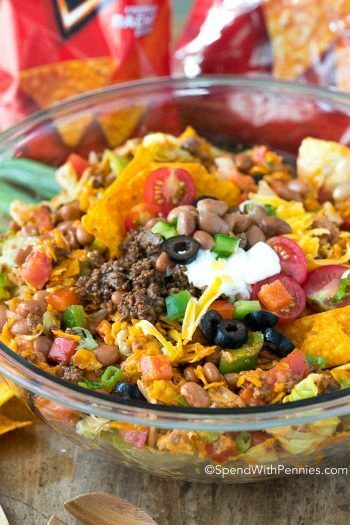 If you’re doing a large batch of these, I would suggest working in batches and only putting some of the crushed Doritos in the bowl at a time. If they end up too wet they won’t stick to the chicken well. 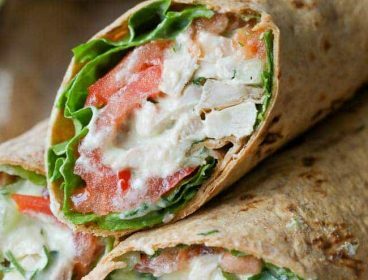 If you’d prefer, you can certainly use a whole chicken breast (which is great served with a taco salad) or even chicken thighs. 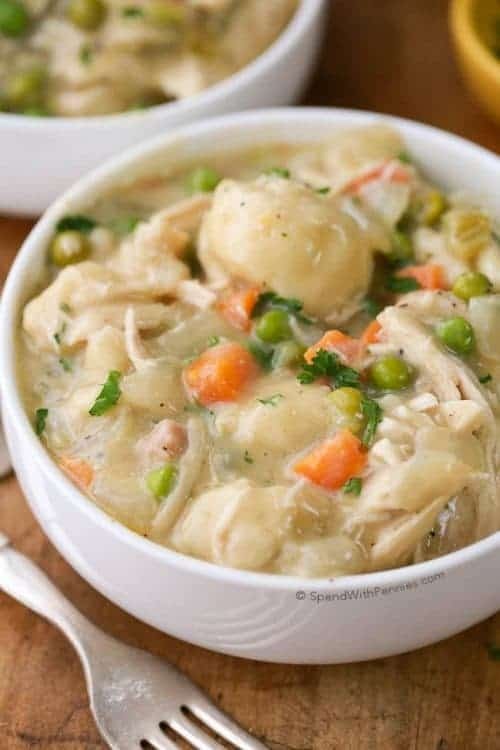 We serve it alongside a fresh green salad and roasted potatoes for a delicious meal! 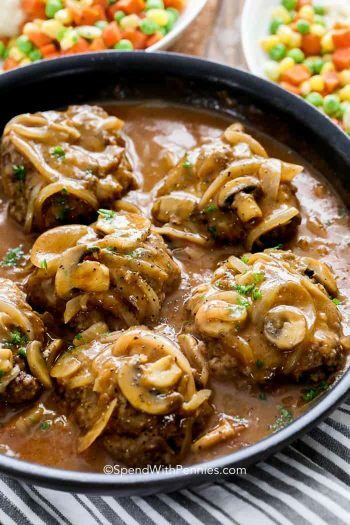 To keep the chicken moist and juicy, be sure not to overcook them! We serve these with either ranch or blue cheese for dipping! 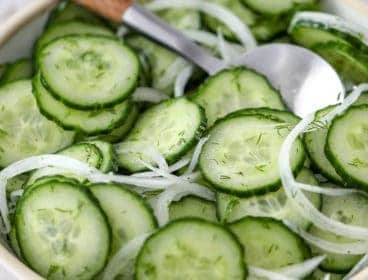 They make the perfect party food! Doritos for dinner is always fun, just ask my kids! Place crush Doritos until you have 1 1/2 cups of crushed Doritos. Whisk together egg & milk in a separate bowl. Dip each strip in the egg mixture and then into the Doritos mixture. Press the chips into the chicken making sure the whole strip is coated. 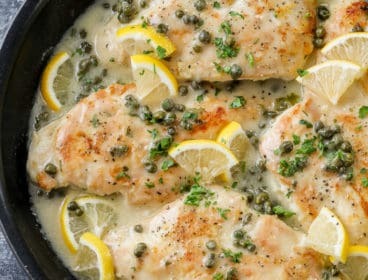 Place on a foil lined pan and lightly spray the tops of the chicken with cooking spray. Bake 15-17 minutes or until cooked through. 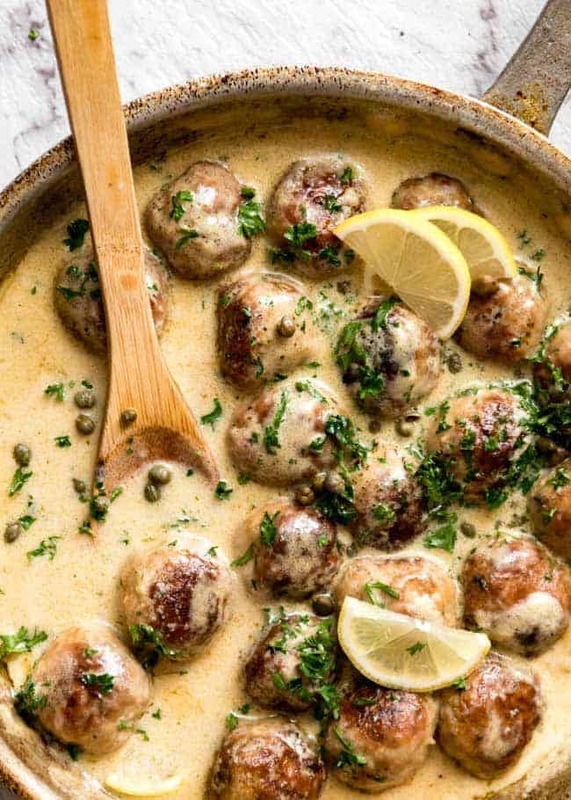 Serve with ranch or sour cream. 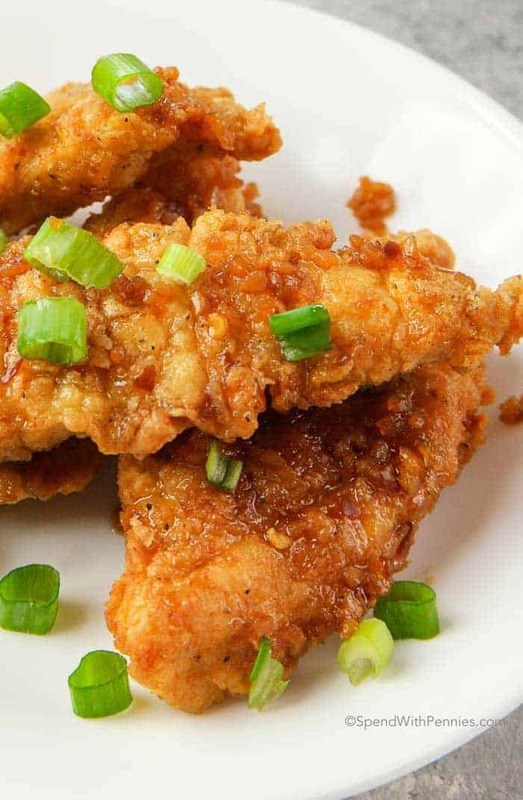 Note: The original recipe added bread crumbs to the Doritos. 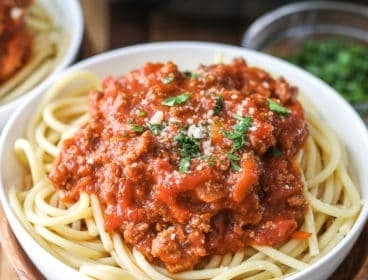 After trying this a few times, the breadcrumbs have been removed for a better flavor . 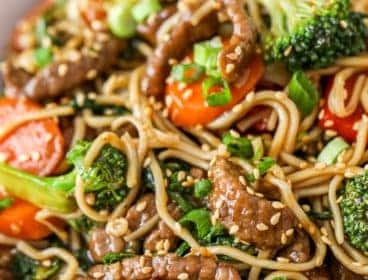 This recipe was inspired by Alida’s Kitchen!